SAI began its public activity in 1998 with a series of panel discussions that informed artists about need to and benefit of organizing their art and the legal and tax issues faced by artists and heirs. 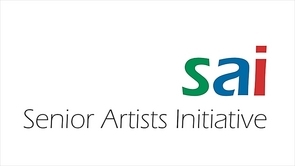 Over time SAI has grown in both achievement and stature as an educational nonprofit serving the needs of artists. SAI has produced seminars, publications, and oral history videos of prominent senior artists to help preserve the Philadelphia Regions artistic heritage. In 2018 SAI concluded its twenty year long Inventory and Oral History Project that was a major part of its mission fulfillment. Through that project SAI produced 97 artist oral history videos which are accessible for viewing at the SAI website. Simultaneously SAI initiated its Artists Heritage Museum Project, which produces videos that document Artists careers, and which are to be used by the museums in conjunction with exhibits or for other purposes. SAI, a 501(c)3 nonprofit, has no membership. It is supported by foundation grants, institutional sponsorship, and individual donations. Contributions to SAI are tax deductible. All the members of its Board of Directors are volunteers, and SAI has no paid employees.